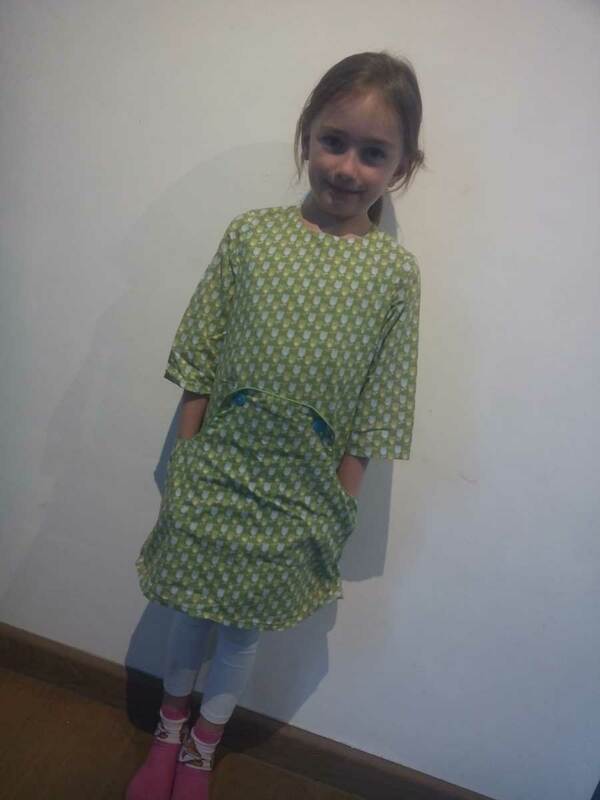 This is my first Louisa dress. 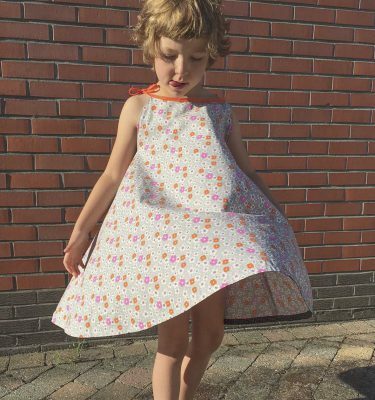 Actually, I made two identical dresses, for my oldest and my youngest daughter. Both dresses are identical, and they just love that they can dress the same way! 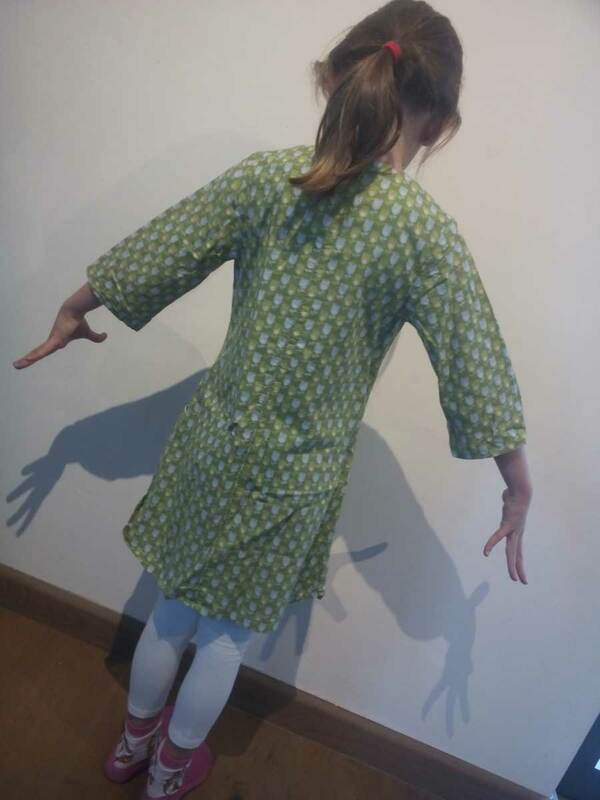 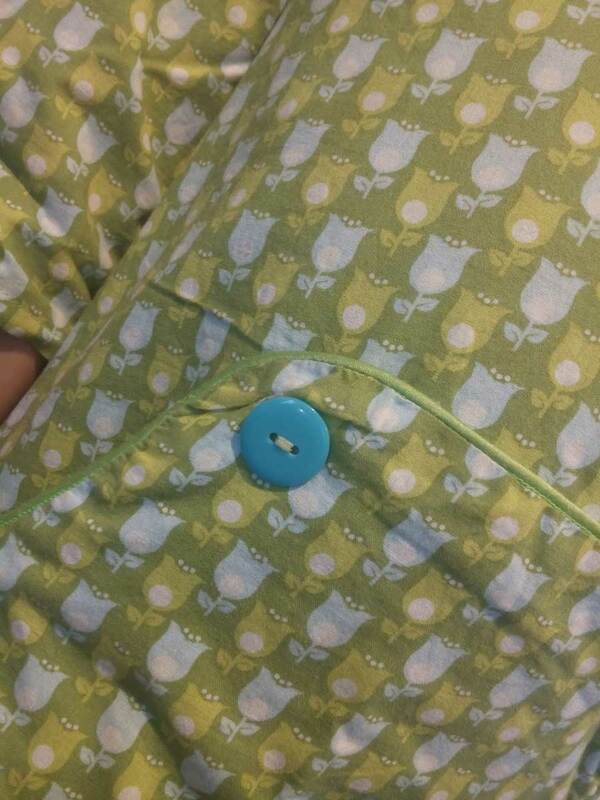 I used a satin green finishing and blue buttons on the pocket to match with the Soft Cactus fabric, which gives the dress a nice finishing touch.